The Virgo Pendant measures 2.8 cm (1 1/8 in) across. 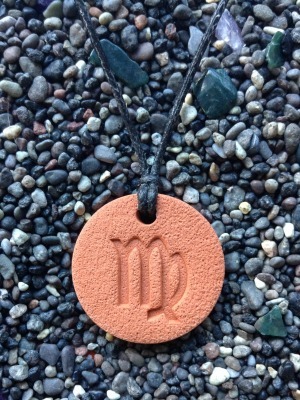 Quality of these zodiac pendants is excellent. The glyphs are nicely done and the size feels great worn or carried in the hand.